As anticipated in our October 16, 2018, Sub-Advisor Commentary, the last half of October has been a bumpy ride for investors. While the month of October is notorious for market volatility, the last few weeks have closed out the worst month in North American markets since September 2011. With the S&P 500 down 6.9% (a $1.91 trillion market cap loss) and the TSX falling by more than 6.5%, investors are left wondering if this is the beginning of another bear market or just a short-term correction. 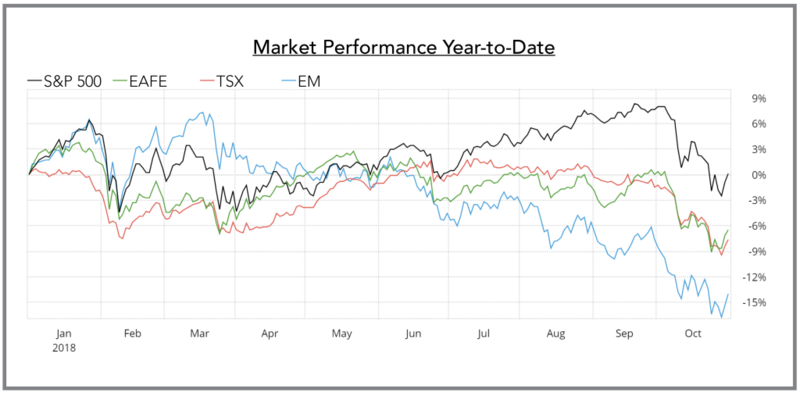 The middle of the month saw each of the GTAC Portfolios asset class trading signals clinging to a long-term BUY, except for the Emerging Markets asset class which had taken a defensive position in mid-September, switching to a long-term SELL. 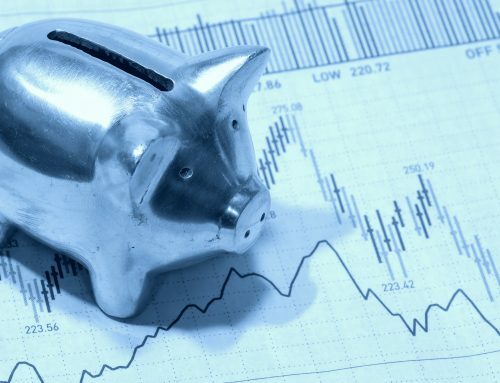 As of market close on October 24th, the remaining GTAC Equity asset class trading signals moved to a long-term SELL, with the proceeds reallocated to our Fixed Income asset class. While our current asset allocation is certainly not a prophecy of a full-fledged secular bear market, the warm winds of a bull market are no longer blowing at our sails. Emerging Markets are already in a bear market, down nearly 25% year-to-date and Developed International Markets are not far behind after a 15% loss. On October 26th, the S&P 500 (the definitive leader of global indices) saw a change in trend, slipping past two closely watched levels. Falling below both its 50-day and 200-day moving averages, the index dropped more than 10 percent from its intraday high hit on September 21st, thus meeting the generally accepted definition of a market correction. The 200-day moving average is one of the most popular technical indicators used by investors. The six fundamental triggers we talked about in the above-mentioned Sub-Advisor commentary are still overriding concerns for the market. 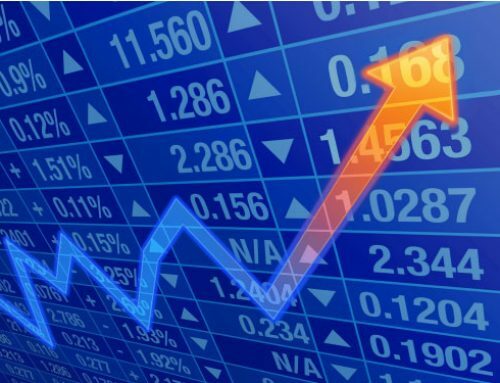 Uncertainty over trade wars, the U.S. Federal Funds rate, and the U.S. economy continue to affect investors, but technical triggers such as moving average violations, algorithmic trading, fear gauges, and global downside correlations have now taken center stage. Our GVCM internal market indicator has shown a loss of over 20 points since the end of August and has moved into bearish territory. After a 74 day run with limited volatility, the S&P 500 rose or fell in excess of 1% on 10 different days within a 16 day period. The volatile and violent nature of today’s environment, combined with the under-performace of previous leadership sectors, is indicative of a transition towards a corrective phase. 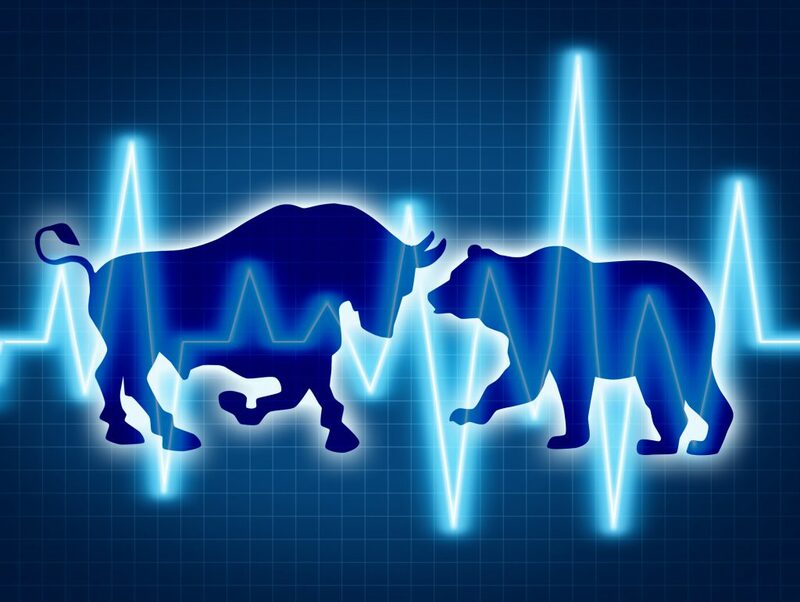 With no way of predicting with certainty whether further pain is on the horizon, we believe that we have entered a risk-off period that may see significant ups and downs in the markets and as such, we have tactically positioned our strategies in defensive mode until our trading signals dictate otherwise. 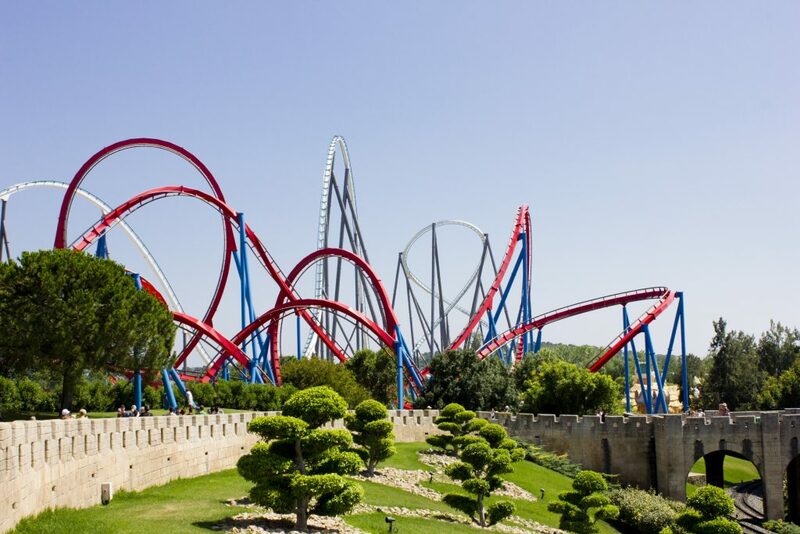 We pride ourselves on downside protection for our clients and are happy to sit on the sidelines and avoid the roller-coaster.